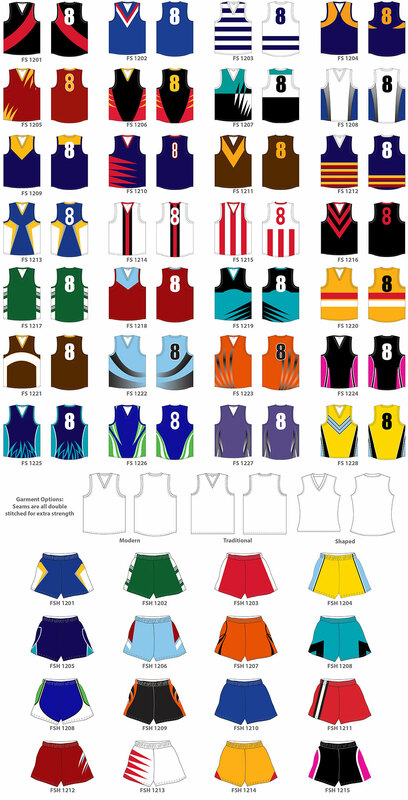 At Impact Sports we have a variety of football jumpers, or jerseys, available.We have many custom designs of football jumpers available, so you can then choose the design that best represents your club. You can choose from the Classic range which is style of traditional football jumpers most often seen, with a knitted collar and armband trims. 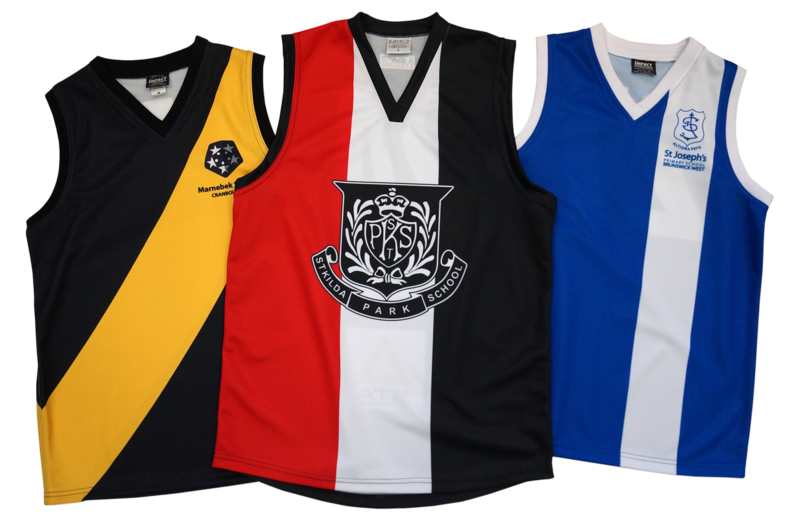 Our Modern range of football jumpers sees a more fitted style, and a choice of neck styles all in self fabric.All tops come with extra heavy double stitching and bar tacked trim as standard. Call us today on 03 9879 4111 or Email us and we will be happy to assist.